Today's "find" is for all of the women out there! 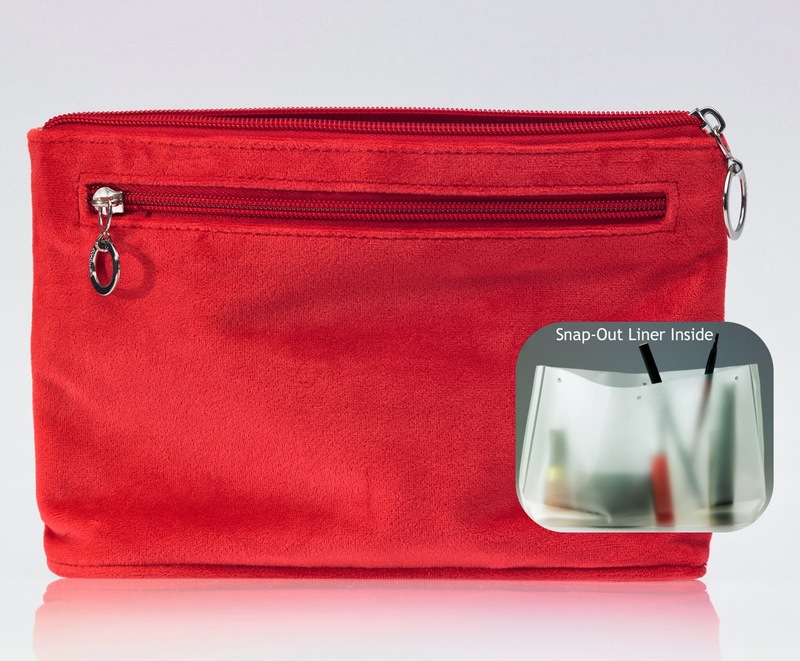 How many of you have makeup bags that you keep in your purse that when you open them you say to yourself--"Why can't someone make a pretty cosmetic bag that has a liner that can be switched out for a clean one"? Powder, Lipsticks --all kinds of stuff make the inside of your bag look pretty yucko! I have found your answer my friends--Vemayca Cosmetic bags come in a couple of different styles but the greatest think about this cosmetic bag and what makes it so unique is that it is the only cosmetic bag that has a snap in liner that can be switched out for a fraction of what it would cost to buy a whole new bag. You have to check it out! The bags range from $24.99-34.99 and come a couple of different styles/colors. The liner comes with it but if you want to purchase addtional--which you will they are $4.99 or $15/3 liners. So if you are looking for a gift for your girlfriends, babysitters, teachers, or any woman in your life--this is a great one.